One of the major indicators of Inca architecture is their stonework. Somehow they managed to heft massive collections of oddly shaped, and sometimes rather large stones from the valley to high up in the Andes jungle to build their capitol. In addition, they fit these nonuniform stones with extreme precision and intricacy. Not only are they functional and sturdy enough to still remain in the city of Cuzco today, but the beauty with which they accomplished this feat is amazing. 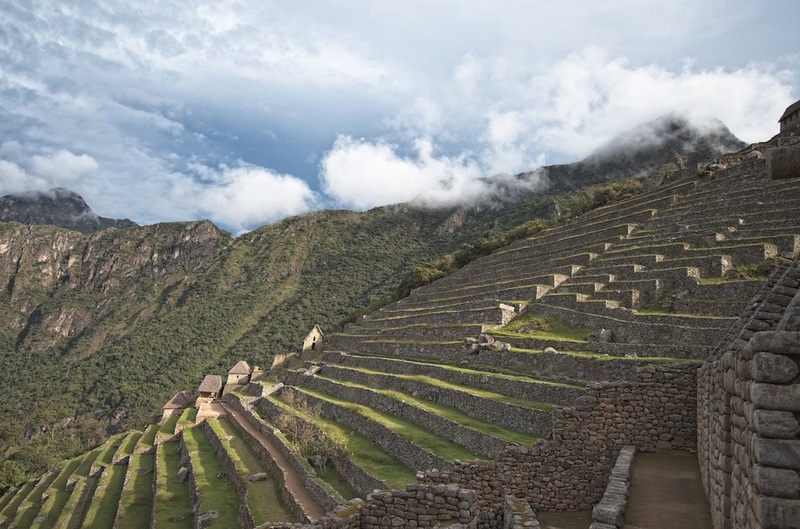 Though the Inca thrived for just less than 100 years, their accomplishments are many and developed without currency. Their system of paths, literal highway and rope bridges expertly connected each city state within the empire. They also invented a complex communication device, called a khipus, comprised of several knotted cords suspended from a main cord. Knot position and type is believed to record stock held in warehouses. Even today top mathematicians and linguists cannot decipher it. Another major achievement was the process of freeze drying food. NASA still uses this Inca developed process, and for many of the same reasons. As the finished product is lightweight, a person can carry large amounts of nutrients with little effort. Also, provisions can last a long time without requiring refrigeration. Finally, one of their signifying achievements is their terrace farming. Because they lacked level fields for planting, they sculpted massive green stair-step gardens, made from specially filled stone retaining walls, that stretched throughout their empire. This method all but guaranteed protection from frost and the best possible control of crop management.